WSET courses, where to start? We are frequently asked by prospective candidates, which WSET level should I study first? This is particularly relevant for those who have existing wine qualifications, often Italian sommelier certification. The Wine & Spirit Education Trust offers four levels of wine qualifications, designated levels 1 through 4. Wine Academy Italia offers levels 1, 2 and 3 in the English language as most of our students wish to build on both communication skills and wine knowledge. Level 1 is an introductory course suited to those with no prior knowledge or experience of wine and students who are less confident with the English language. Level 2 is the point at which most students join us, there is no requirement to have the Level 1 qualification before applying. Level 2 offers the best introduction to the WSET and their Systematic Approach to Wine Tasting. This course includes regions of wine production that are not generally covered by Italian based wine education. Lack of prior knowledge of these areas will impact on a students ability to pass Level 3. We therefore ask students to complete Level 2 before attempting Level 3 (with only a few exceptions). Besides providing essential knowledge, this course also gives candidates the chance to familiarise themselves with the WSET approach before advancing to the next level. Level 3 is now a challenging exam consisting of a blind tasting, multiple choice questions and an open written answer section. If you are to be successful a good base knowledge of the whole world of wine production and solid tasting technique is required before joining this course. Our experience suggests that candidates who have successfully achieved Level 2 are much better placed to pass Level 3. The level of English required for Level 3 is advanced, approximately C1/C2 standard. All students must pass Level 3 before applying for Level 4 Diploma. For those with industry experience and/or existing wine certification we suggest that Level 2 is the place to start, without this qualification your chance of success at Level 3 is much reduced. 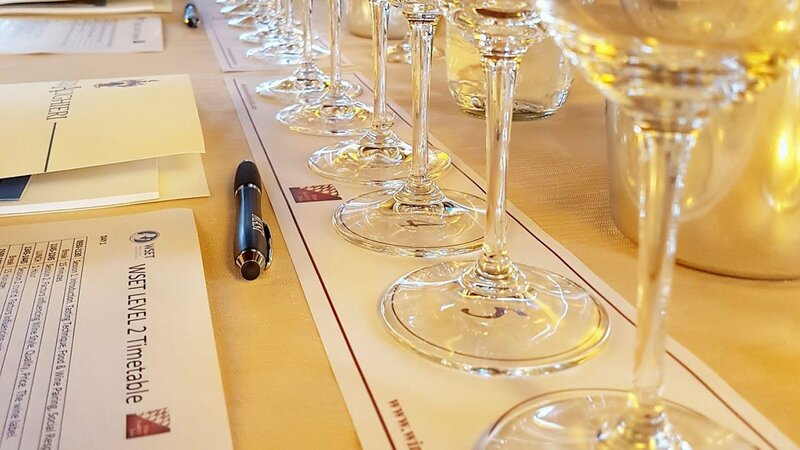 Wine Academy Italia, Italy’s specialist English language @WSETglobal Provider, offers WSET courses at a variety of venues across the country. Previous Post: « Masters of Wine Programme, Applications open.